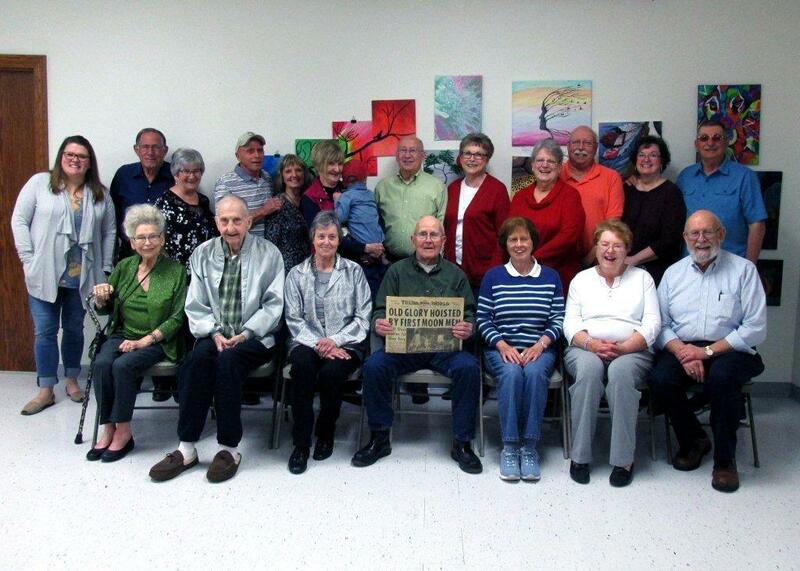 In recognition of National Volunteer Appreciation Month, the Barry County Museum hosted a Volunteer Appreciation Luncheon on April 4. Those in attendance are pictured, from left to right, in the front row: Doris Hayes, Carrol Hayes, Judy Harvey, Bob Ryder, Becky Ryder, Joyce Cusick and Roger Cusick. Back row: Whitney Kloss, Don Myers, Glenda Myers, Ted Bolton, Fran Bolton, Ann Taggart holding Gus Bolton, Darrell Ledenham, Beverly Ledenham, Elaine Tripp, Lee Tripp, Carolyn Reed and Bob Reed.